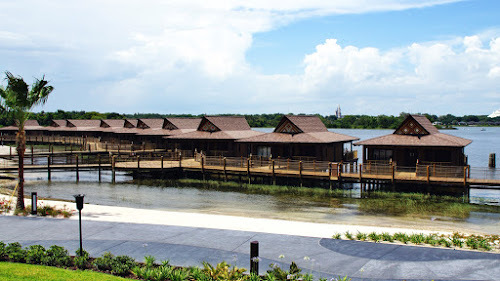 We spent a few days in Florida's Walt Disney World over the Memorial Day Weekend staying in 3 different hotel rooms over several nights. 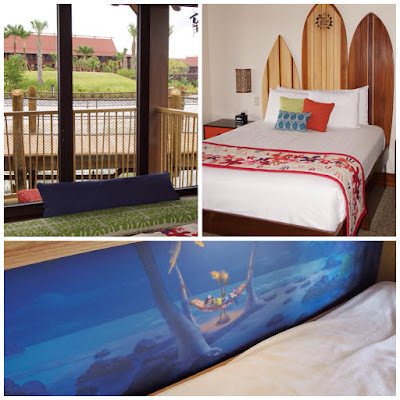 All nights were in Disney Vacation Club (DVC) rooms, with two of those nights in the new Vacation Club rooms at The Polynesian Resort. 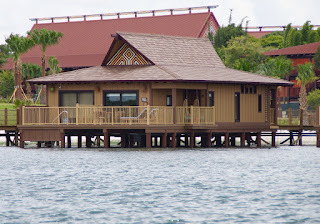 One night was in a converted studio room in the Moorea building and another night in the new over-the-water bungalows. We were excited for our first stay at this Disney World fan-favorite resort. 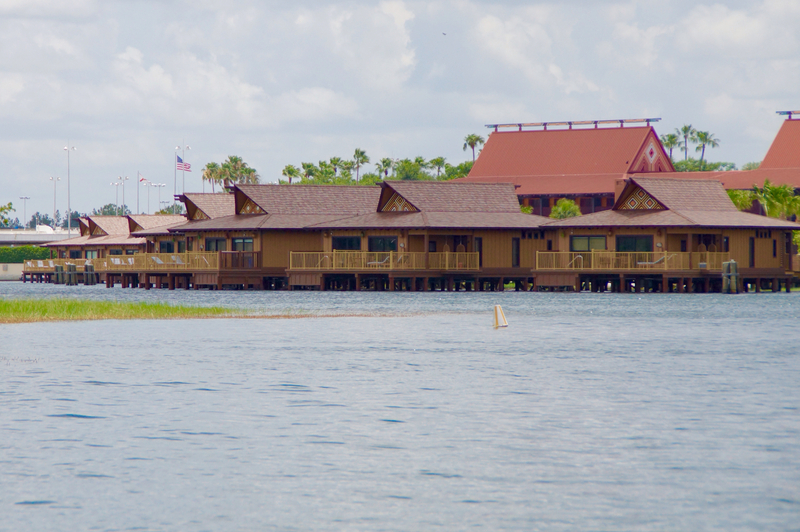 DVC is Disney's version of a timeshare. Members buy points that can be used to book nights in specific DVC rooms, other-non DVC rooms, Disney Cruise Line, Adventures by Disney, and trade-ins for other timeshare experiences. DVC members have home resorts which give them a booking window advantage at that location. 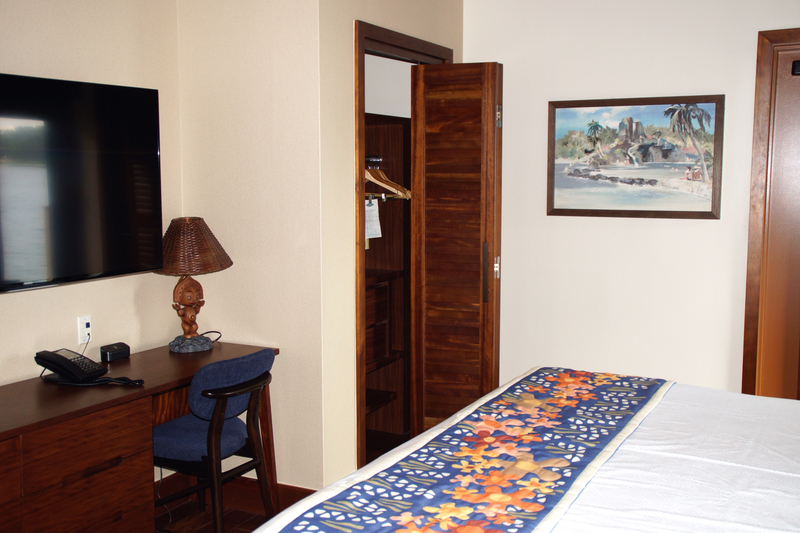 Room offerings range from studio rooms (a base hotel room) up to 3 bedroom villa suites that can sleep 12 guests. 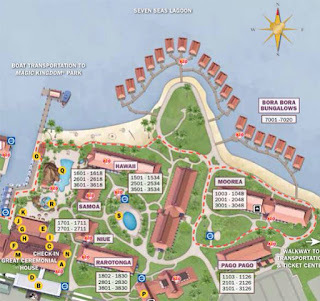 Point values for rooms differ by season, resort, view type, size of room, and day of the week. The Polynesian Resort (The Poly), the first hotel to open on WDW property in 1971, just opened their DVC rooms. We are not owners at this resort so in the long run staying at The Poly again may prove difficult. 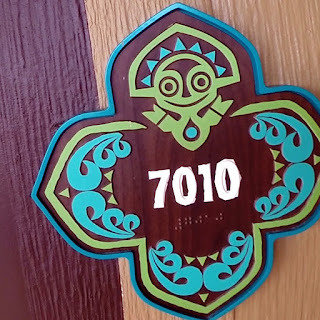 We were lucky enough to go online the day rooms were released and secured our nights for this trip and a future trip at The Poly. The Bora Bora Bungalows are currently the most controversial topic in Disney lodging. 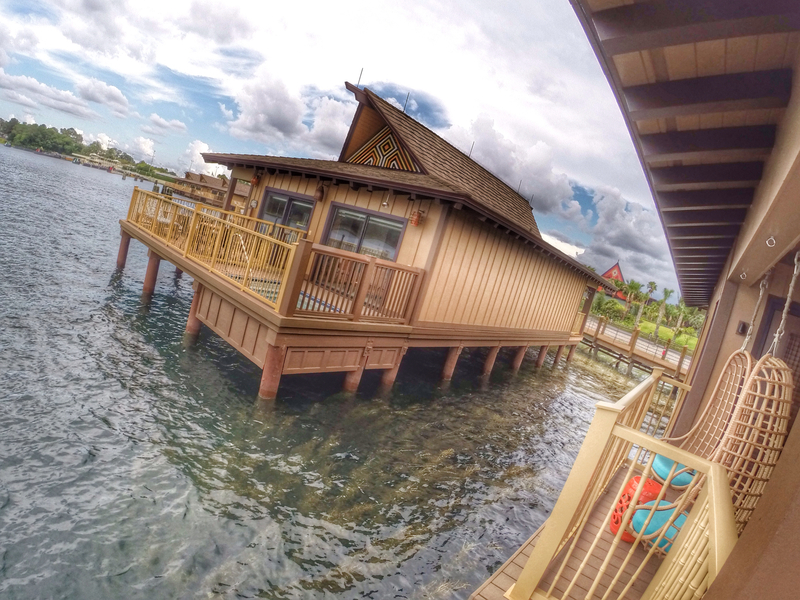 These beautiful new stand-alone units line the shore of The Poly Beach and are accessible to the guests of the 20 bungalows via gated boardwalks. 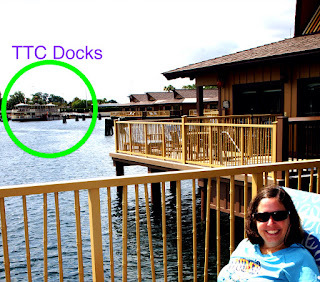 One controversy is they block the lagoon views on a portion of the shoreline and nearby lower-level rooms. Another point-of-contention is their cash-value price tag. Since these are DVC rooms they cost more than a standard room, and since these are suites that can sleep up to 8, the price tag is high. 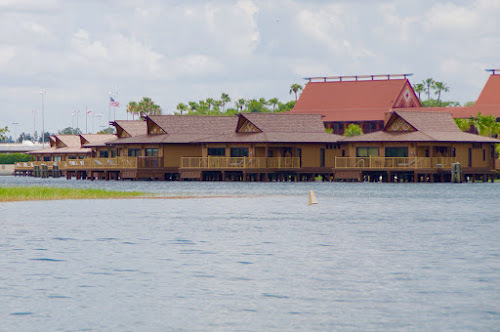 Some Disney fans claim these rooms are for the elite, but by using our DVC points the cost-equivalent of the room was much less than the stated cash rate and costs a few more points than the Magic Kingdom Grand Villa at neighboring Bay Lake Tower. 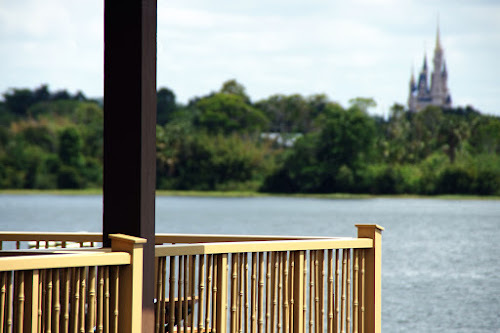 It would be an "affordable" option for two DVC families to split. Our Disney plans for the year (or lack of) left us with a point surplus so we decided to splurge for this one night experience as opposed to banking points in perpetuity or renting out on the open market. 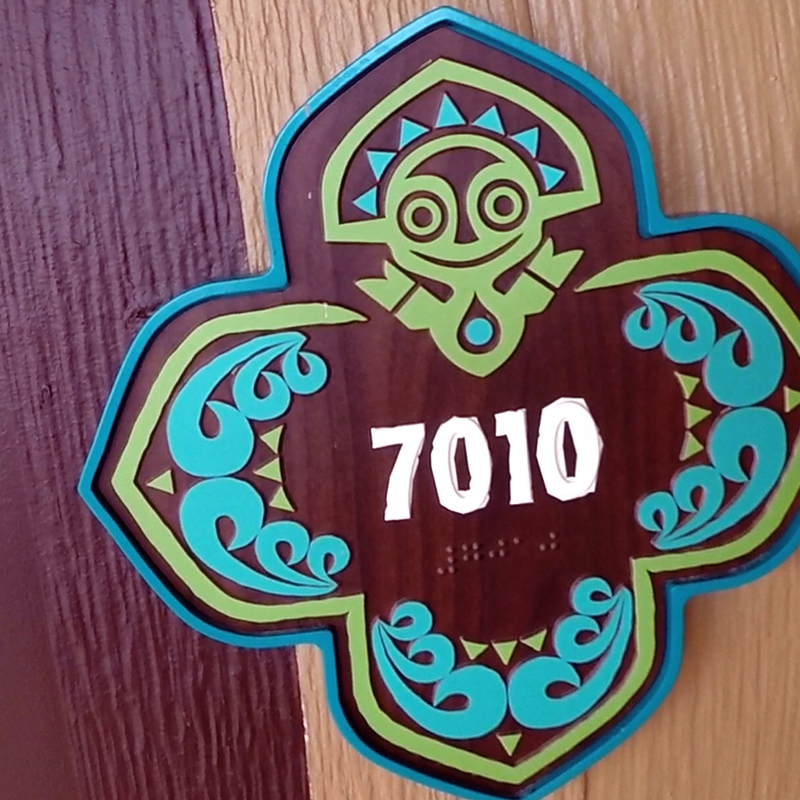 Each unit is well-appointed with mid-modern-inspired furniture and homages to that period's love of tiki culture. The units have 2 bedrooms, 2 bathrooms, pull away beds, washer/dryer, four TVs (one in the Master Bath mirror), a large dining table with seating for 8, couch, chairs, and full kitchen complete with dishwasher. The living area was much larger than it looked in all the promotion videos and other online reviews. We used the giant dining room table for storing all of our Magicbands, cameras, electronics, etc. It also came in handy when preparing meals (and by preparing we mean taking food out of the to-go boxes from Kona and Captain Cook's). The light control panel in the room is a touchscreen pad with too many complicated options. 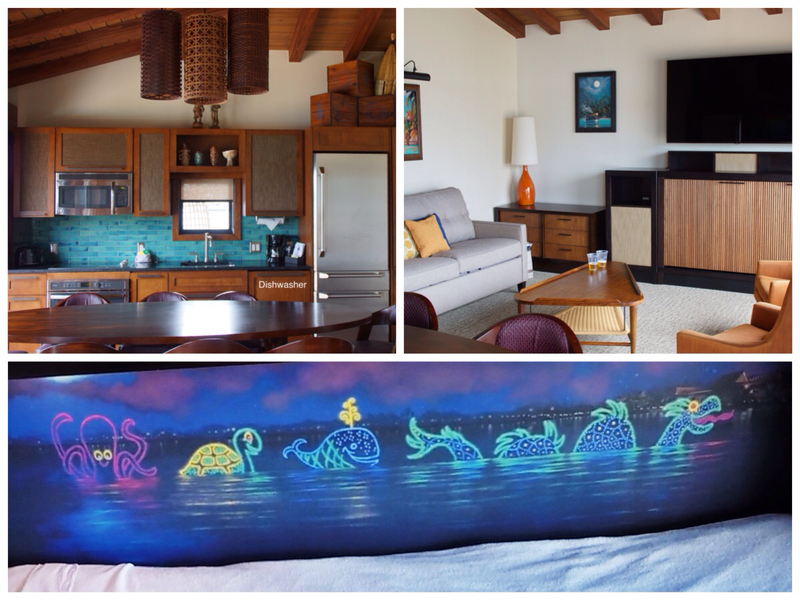 The pull away bed was stored under the TV and had a fun mural of the Water Pageant on its backside. The Master Bath had dual vanities, a two-person jet tub (Kohler brand), a separate shower with rain head, and privacy toilet. The bathroom TV was embedded in the mirror. The Master Bedroom had a smallish closet with a few drawers set in it, a desk and chair, huge TV, and a door to the patio. This room also had a complicated lighting console. There were two bathrobes in the room's closet and two in the other room's closet. Hooray for the king bed! The Master in our unit was dark mainly because of the small windows, but the second bedroom was very bright due to the big picture window. The other pull away bed was under the giant TV in this room featuring a Lilo and Stitch graphic. 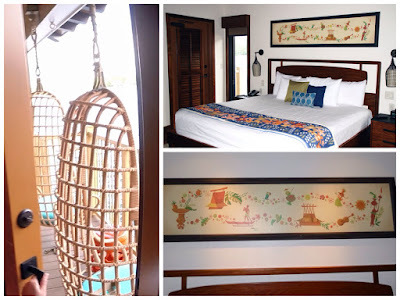 There's a window bench in this room, and night stands on both sides of the bed (not common in all Disney rooms). 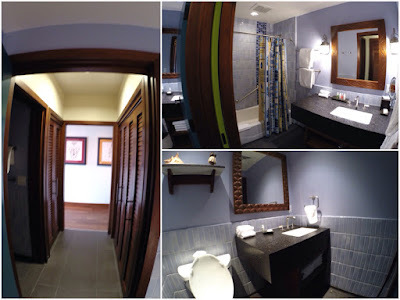 The other bathroom was divided into two separate rooms. One had a tub/shower combo with a single sink, and the other room had a sink and toilet. Access to the bathroom is through the laundry/closet room. 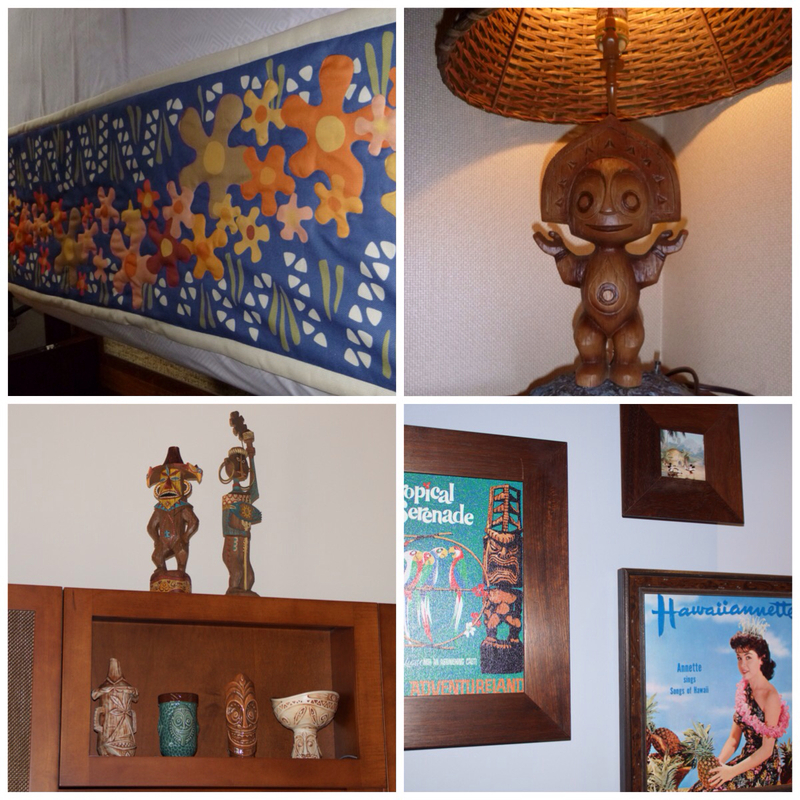 The closet in this area contained the usual DVC items: luggage rack, safe, baby playpen, and high chair. The private deck includes 2 loungers, 2 swing chairs, a small dining set with 4 chairs, a plunge pool, and speaker system that plays the Wishes soundtrack during the fireworks (and nothing else. It would have been awesome if they put the resort music loop through the system.). We also had a telephone outside in a little hidden compartment and a rinse-off shower by the pool. We left our previous accommodation (Boardwalk Villas) early so we could drop our luggage off with bell services, check-in, and then make it to the Magic Kingdom for an early entry breakfast reservation. Our room wasn't ready at 7:00am (which we expected) and we were told we'd get a text when it was ready. We returned to the resort around noon so we could go swimming. We used the bathrooms to change into our suits and no sooner than we found a lounge chair they announced the fact the pool and deck were closing for lightning near the area. Great! We were allowed to stay in the area because of a loop-hole: The pool bar is divided in half by the pool gate to allow non-guests (whom can't access the pool) a place to get drinks. That side does not close when the pool closes. We were about a third of the way through our beers and then our text came through the room was ready. 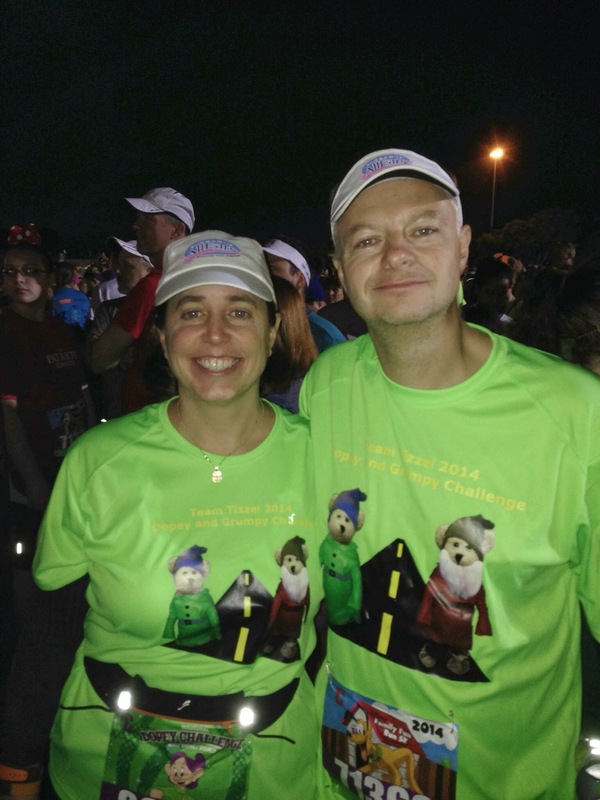 We already had our keys because they were encoded to our Magicbands. 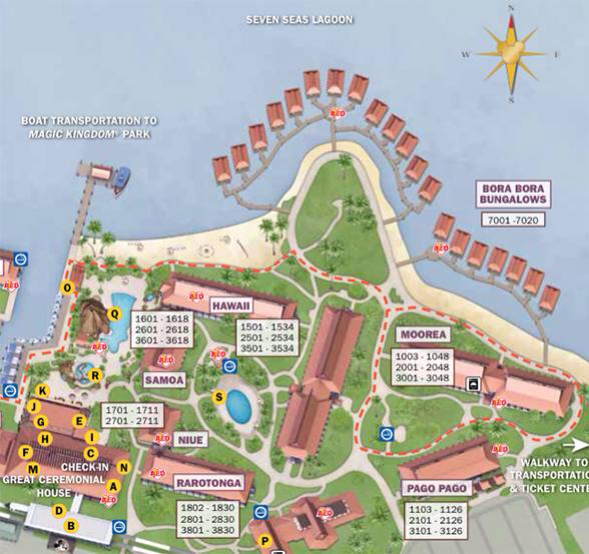 The Bungalows are a bit of a distance from the main portion of the resort. 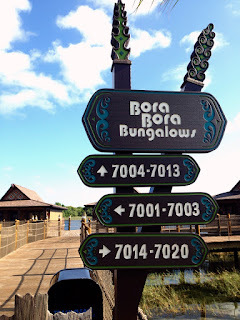 We were able to access the gate for the bungalows, but could not get into our room. Dave called the front desk. After a few minutes they said someone would be there to let us in but we need to visit the front desk at some point to get our bands recoded. A nearby housekeeper was called over to let us into the room. We went in the villa and marveled at it for a few minutes before calling bell services for luggage delivery. After about ten minutes they called to ask us to describe the bags. Uh-oh! Twenty minutes later they arrived. In the meantime we were exploring the room and found leftover garments from previous guests, food in the pantry, and some trash in between the counter and wall. 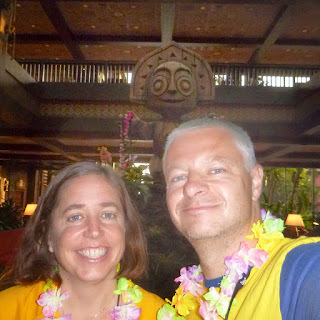 This really wasn't a very magical welcome to the Polynesian Resort. Add to that the fact we were in need of lunch. The bellhop gave Dave a cart ride up to the front desk. It took the cast member about fifteen minutes to fix the bands. During that time Dave let him know about all the issues we were having and how it did not reflect well on the new DVC addition. 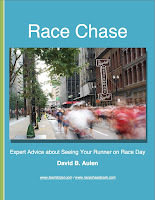 He offered to have a supervisor come over and Dave accepted the opportunity to visit. After relaying our story we were given some fast passes and other considerations for our difficulties. We are usually not the type to complain, but they needed to know that the service all-around was not up to Disney's usual level. Lunch came from Captain Cook's quick-serve counter and consisted of Hawaiian flatbread pizza, pork nachos, and Red Stripes. We ate out on the deck and took in all the activity occuring on Seven Seas Lagoon. These activities included the constant flow of the Transportation / Ticketing Center Ferries. We were very close to TTC and the boats seemed to be ever-present blowing their horns. 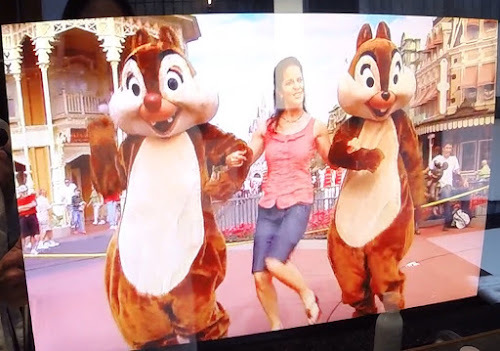 Many guests complain about them, but we became numb to their sound (Even at 5:30am). Speaking of noise, the bungalows are on septic/sump pump systems. A few minutes after the use of water you'll hear a loud whoosh. It would be enough to wake a person at night. We spent a little time in the pool before deciding to go to the resort store to provision up for our night on the deck. While up at the main building we checked out the new Trader Sam's Grog Grotto. No seats available inside at 4:30 and the wait would be about an hour. All the tables were occupied outside, but many folks had beepers awaiting indoor seats. The patio was pleasant and there was live entertainment. We got some drinks from the take-away bar and headed back to our room. 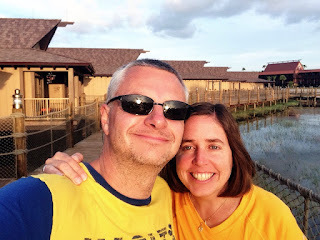 We spent more time in the plunge pool and tried the spa tub in the Master Bath. Great tub with lots of different jet configurations. We wanted to make sure we had our dinner in-hand before the night time shows started. We walked back to the main building and ordered sushi from Kona's counter. They never indicated the wait would be over 20 minutes so we were getting antsy. We made it back with a few minutes to spare before the Electrical Water Pageant. 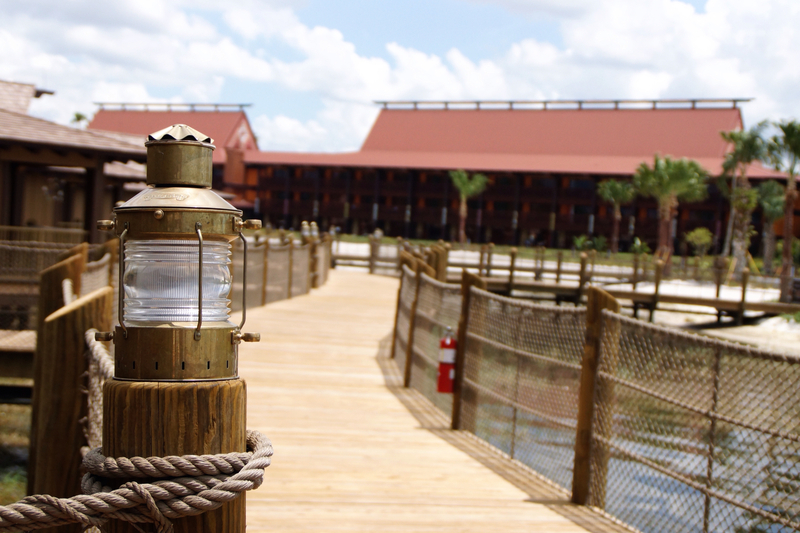 If you've never seen the show, it's a parade of pontoon boats with nautical-themed animated lights and soundtrack. From our unit we could hear the music before we could see the show. By the time we were viewing the third float, the finale kicked in. Once the show was over they still left some of the float lights on, presumably for the Bungalow's benefit. We had a great view for Wishes. It was nice to sit on your private lounger with a glass of wine and and music piped into your balcony. Luckily, the units near us were unoccupied allowing us to have a peaceful viewing experience. If our neighbors were in, and having a fireworks party, we might not have enjoyed the experience as much. The next morning We spent more time in the plunge pool and just relaxed for our final few hours. We ate our Captain Cook's breakfast (Dave went to get it) on the patio while listening to the Welcome Show at the Magic Kingdom. Yes, we could hear the show from our room. The rest of our day would involve heading to the Magic Kingdom for a few hours, coming back to the resort to check into the Studio room (very nice), spending some time outdoors at the main pool, visiting Trader Sam's, dining at Narcoossee's, going back to the Magic Kingdom for Mine Train at night and Wishes, and finally another visit to Trader Sam's. Since that represents a normal Disney Day for us it was nice to "force" ourselves to take the break on Bungalow day. Was it worth the points? Yes. Fortunately we were in a point surplus position this year so the spend of DVC points for this experience wasn't as "painful" as it would have been in other years. The opportunity cost of this night represented about 8-9 nights in a Boardwalk Studio Room, 4 nights at the Disneyland Hotel, or what we could have gotten in cash on the rental market. 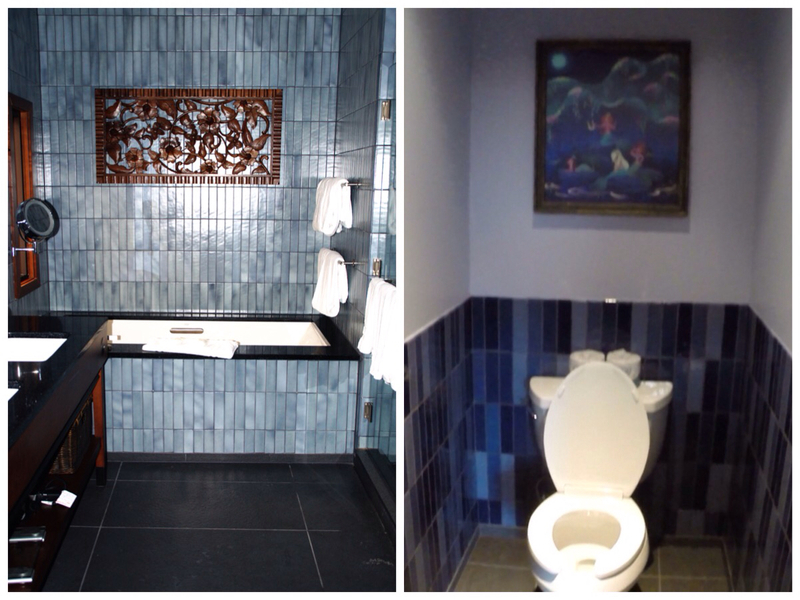 But DVC is designed for flexibility and we enjoy having so many options to use our membership as we see fit. 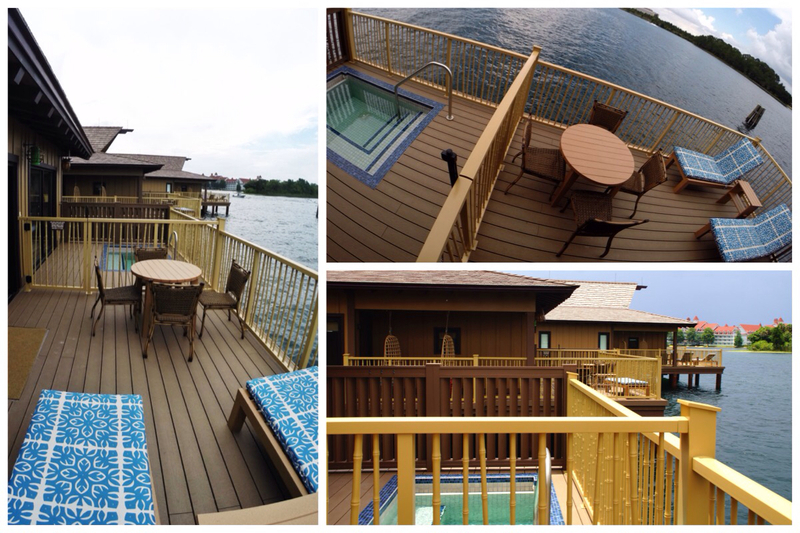 We never would pay the cash rates for the resorts our DVC Membership gives us access to. We are pretty good at maximizing our points other times of the year so a one-time splurge is acceptable. 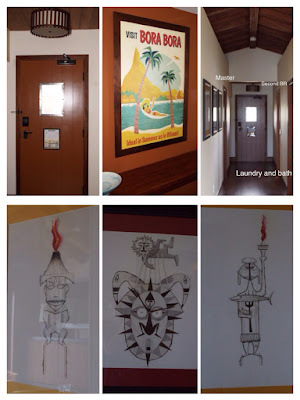 The unit was gorgeous, the privacy we felt in our bungalow and on our patio was terrific, and access to other resort amenities worked well for us. We'd recommend this experience to any family for one night, or several nights if you can find other DVC members to share the experience.